It is now the most important shopping season of the year and this is considered as the best chance for tech giants to increase annual profits. Therefore, the companies keep releasing their flagship gadgets in the last month, we can tell the Microsoft Surface, Apple iPad 4th generation, iPad Mini, iPhone 5, Amazon Kindle Fire HD, LG Nexus 4 and Nexus 7 tablet. 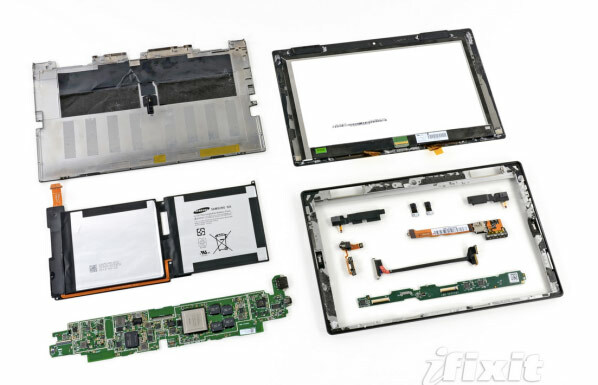 Some teams like IHS iSuppli did actual teardown of the devices. They evaluate cost of each component and add together, we have their real production costs. Each companies have their own strategy, some setting price much higher than production cost, some are pretty close. Of course, the numbers below don’t inlude other costs such as research and development or marketing, however they still give us a picture of how companies are making profit. Let’s check them out to see which device is the most cost effective for consumers. 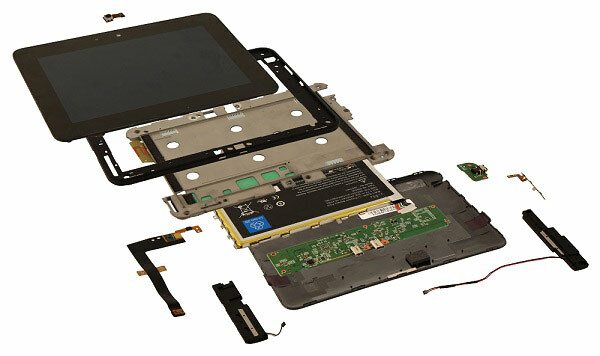 Microsoft priced the Surface quite high to compete directly with iPad in the high-end tablet market. IHS shows that components of Surface when put together cost around $271 along with $13 manufacturing cost, so the total cost would be $284. The price of the 32GB Surface without Touch Cover is $499, it means they are getting quite a lot of profit from the device. Meanwhile, the Touch Cover is said to cost just around $16 to manufacture and it is being sold for $120 separately. This seems not to be a budget-friendly tablet at all but Microsoft is still more consumer-oriented than Apple, the company making huge profit margins from iPhone and iPad. You can’t believe that iPhone 5 is such a cheap phone. Apple is paying just $207 to produce the 16GB version of the iPhone 5 ($199 for components plus extra $8 for manufacturing cost). The 32GB iPhone 5 costs just $217 and the 64GB version is $238. The pricing for unlocked iPhone 5 is $649, $749 and $849 for 16GB, 32GB and 64GB edition respectively. Could you believe that? A preliminary analysis of iPad 4 revealed that the cost of 16GB version is just $295 and Apple is making at least $200 for each tablet which is sold for $499. Besides, the 32GB Wi-fi only model costs about $305 in parts and labor, estimating for a 49 percent margin. 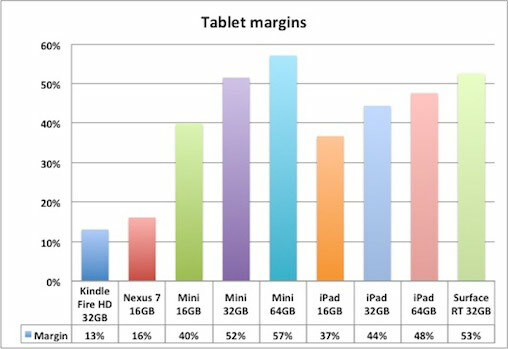 The iPad Mini has a little lower profit margin of 40 percent. It costs $198 for parts and manufacturing and its retail price is set at $329. The 7-inch tablet from Amazon costs $174 overall and it is available for $199, which makes the minimal margin of just 13%. Amazon is not making much profit from the tablet but the cost is still an improvement if you know that the original Kindle Fire cost over $200 to produce and Amazon takes loss for every sale. Amazon has a different strategy compared to Microsoft and Apple. They can take the loss for hardware but user base of Amazon will increase and users will spend more on Amazon content and the Amazon online store. The Nexus 4 is being sold directly by Google for $299 (8 GB) and $349 (16 GB). Surprisingly this is the price for unlocked version and we can use it on any GSM carrier. There hasn’t been any teardown on this device yet but I am sure this is a bargain for all U.S. consumers because Google is subsidizing the cost of this handset for nearly $300. Google want to make Android more popular so that they can sell more apps, games and other stuffs through the Google Play Store. Nexus 7, another device in the Nexus line, has the total cost of $167 for the 16GB edition and it is listed at $199. Therefore, Google is making just a little higher profit margin than Kindle Fire HD. Share your thoughts after seeing the profit margins of those companies. As a consumer, which side do you choose? actually what I really want to know, if it is a one time activation? So after that limit day, can we activate media center? Actually this is clarified on the page. Windows media center is free and after you sign up, you will receive a product key. The key must be activated no later than February 1, 2013.
so basically even if I activate key before february 1, the key will die so I can’t use it again right? Yes you are right. You need to activate the key before February.